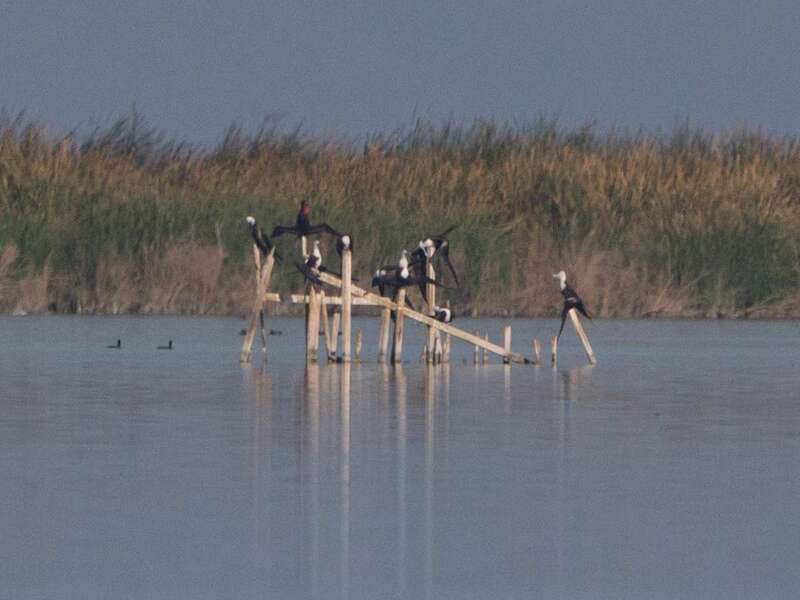 [All photographs copyright, Gary Nunn 2016] – Today Sep 11, 2016 I guided out-of-town birders Howard Einspahr and Temple Douglas around the south end of the Salton Sea. 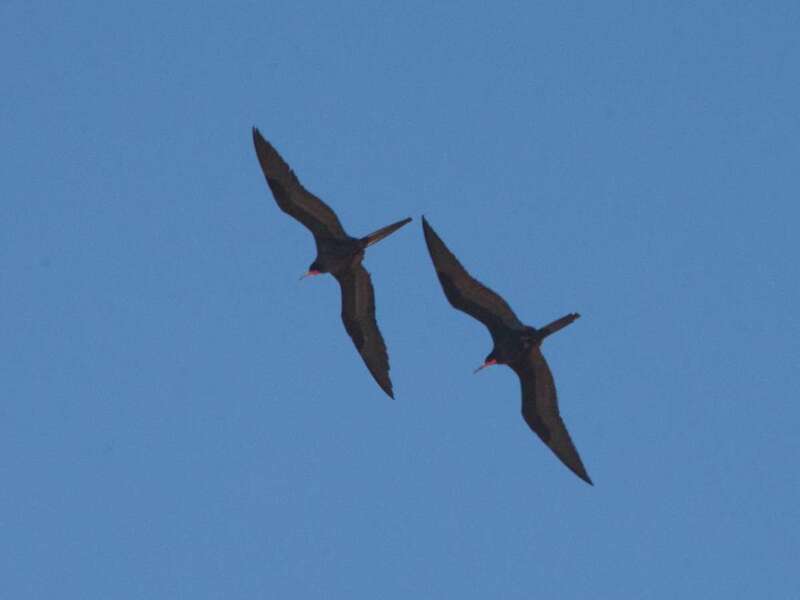 At 7:45am the first stop, at north terminus of Garst Road, started with a bang when I spotted nine distant frigatebirds sitting together on a derelict wooden structure! 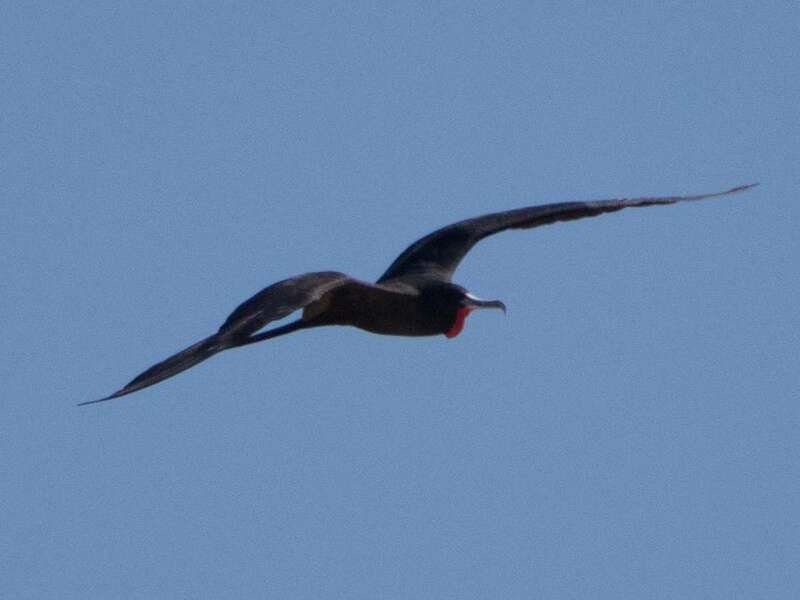 I could hardly believe my eyes and even one adult male among them shaking its baggy red gular sac! I quickly assembled the 1000mm lens rig on the Canon 1Dx and tried as best I could to get some shots across the distance and through the weird temperature distortions. A few acceptable documentation images show all the birds. 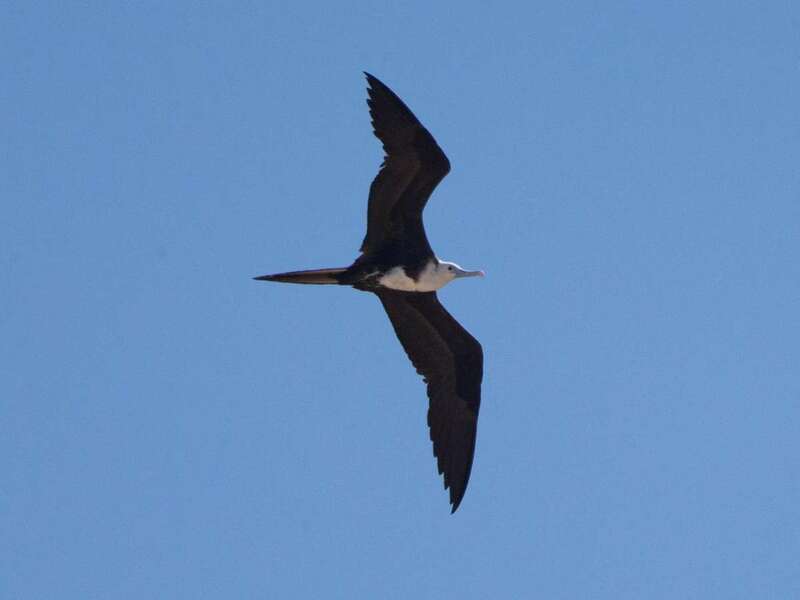 After sending out some email and text messages we waited around, I hoped the frigatebirds might lift off, but they stayed firmly planted on the poles. 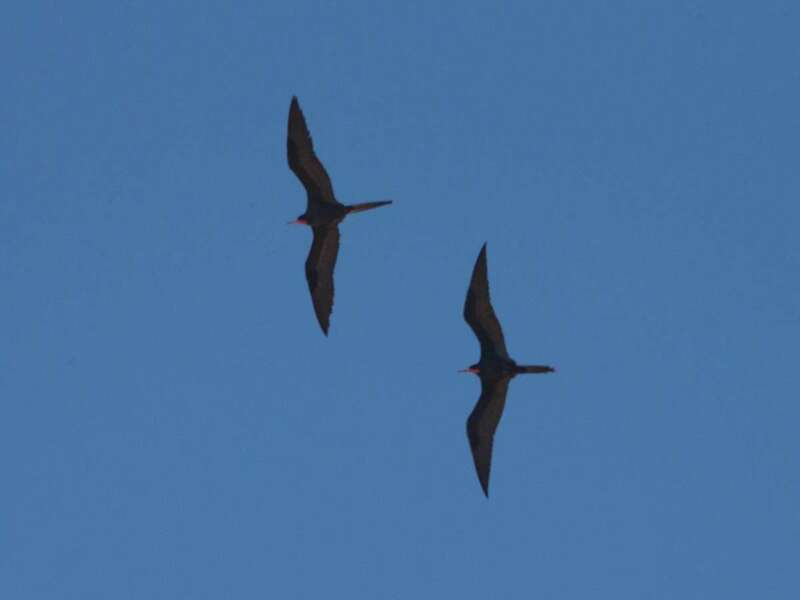 Then about 8:25am they started to sun outstretched inverted wings and flap around a bit, but no lift off. We decided to leave and head south hoping they might come by later. 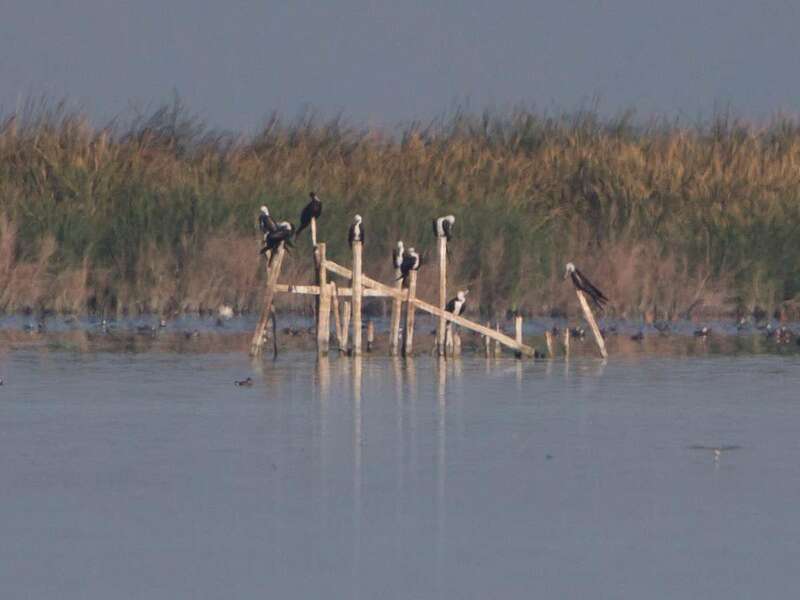 So far as I could see, and photographs later showed, eight juvenile or white-headed immatures and a single adult male. Through the field scope at high magnification the perched adult male appeared to have no pale alar bar visible on the upper wing. 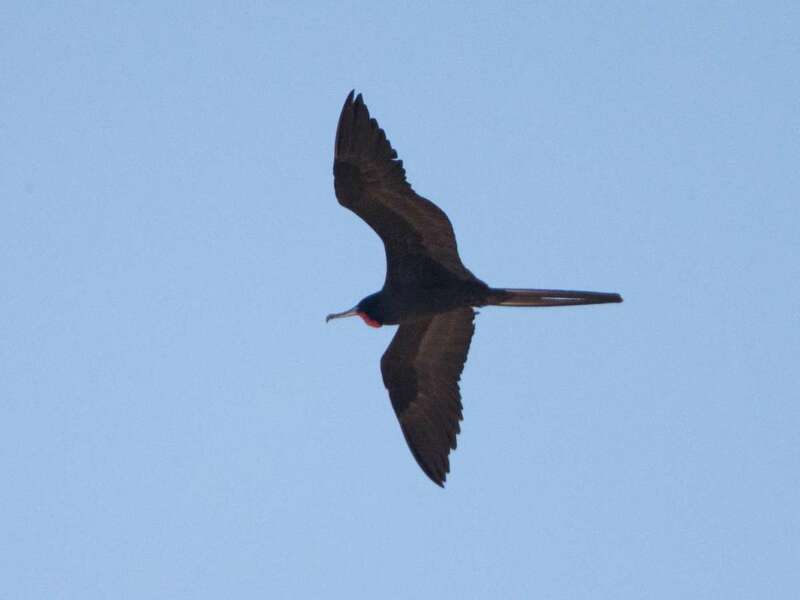 The plumages and equal sized birds seem to indicate a wandering band of nine Magnificent Frigatebird Fregata magnificens. 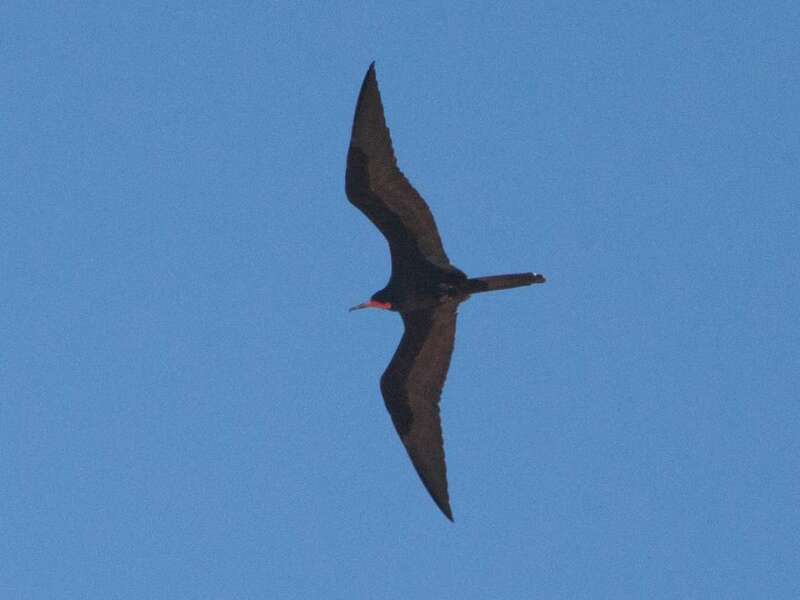 Tom Benson made good time to Garst Road but unfortunately found no frigatebirds there about 9:30am. Evidently they had lifted off shortly after we left. I had moved my position to south of Obsidian Butte by this time finding some Yellow-footed Gulls. Tom skipped around my position even further south along the shore presumably to cover more ground. 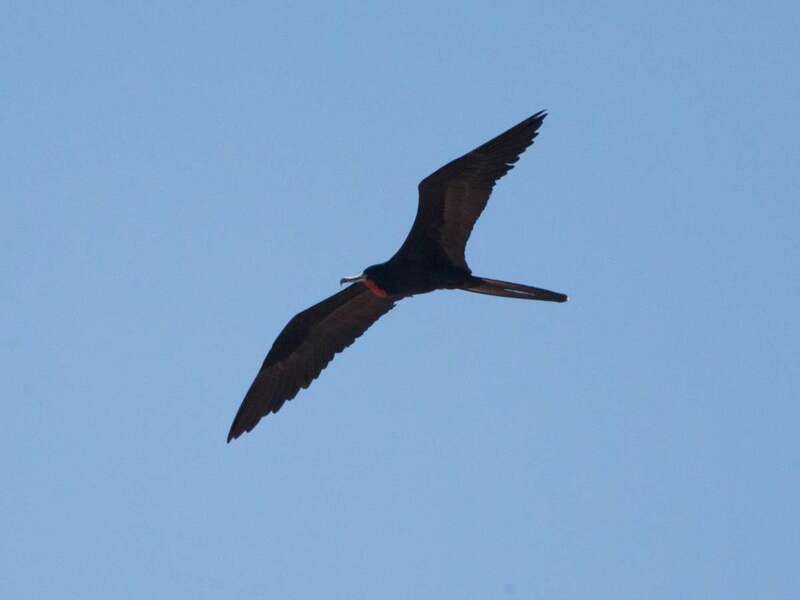 Then right at 10:15am I scoped north and spotted four frigatebirds flapping like crazy very low around Obsidian Butte as if they had just lifted off together. Two adult males and two juveniles! I alerted Tom by text and raced back north along the sea wall and intercepted the birds coming south. They then moved remarkably fast southeast across land about half a mile and shot up in elevation quickly around Severe and Lindsey Road where Tom intercepted them too. It was then only a couple of minutes before they disappeared southeast lost in the sun glare and increasing elevation. The two adult males in this group, and I believe the lift off from a position near Obsidian Butte, seems to indicate perhaps a different group from the first nine perched at Garst Road which contained only a single adult male. So together a minimum of ten birds involved and possibly as many as thirteen in total. Sweet. 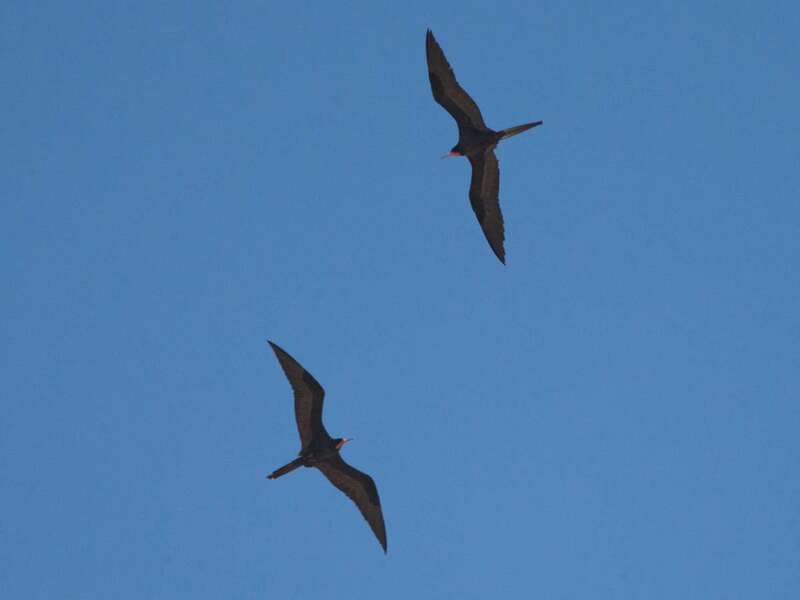 Probably the largest concentration of Magnificent Frigatebirds to ever hit the state! I once had five in one day at the Sea, but that was in the 90s.